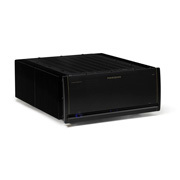 The Bryston 6B SST2 provides three channels of powerful amplification in a single chassis. Consisting of three totally independent amplifier modules, each with its own power transformer and power supply, each audio channel will supply effortless power even to the world’s most demanding loudspeakers. 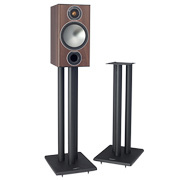 The 6B SST2 is a convenient solution for home theater left-center-right amplification and is also a great way of tri-amplifying three-way loudspeakers. 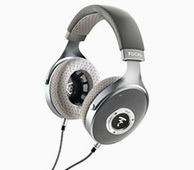 It provides a significant power output of 300 watts per channel at 8 ohms and a huge 500 watts per channel at 4 ohms. Bryston is please to announce that the 6B SST has been selected as the amplifier to power the sound system for the new NASA Glenn Research Center (GRC) Hearing Protection Device (HPD) Evaluation Laboratory. The HPD lab at GRC will be used to evaluation and develop hearing protection systems for all aspects of the NASA programs in general accordance with the ANSI S3.19 and S12.6 standards and internally developed protocols. 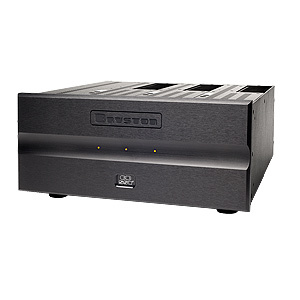 Bryston's SST2 C-series amplifiers are the direct results of the company's ongoing quest to improve its already legendary SST C-Series product line. For over 30 years, Bryston has committed itself to designing and manufacturing the most accurate and reliable audio electronics. The performance, value, and reliability of Bryston amplifiers, and the unrivaled warranty, have earned the company critical acclaim and awards worldwide. Bryston maintains an extensive research and development program, constantly investigating techniques, technologies, and devices that promise improvements to all aspects of its amplifiers. The Bryston SST2 C–Series is the direct result of this ongoing quest, and represents a significant step forward in the art and science of audio amplification. 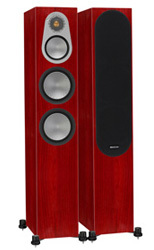 The SST2 C-series answers the need for today's increased dynamic range and clarity in recordings and movie soundtracks. The end result surpasses the parameters of the most demanding material available. Upgrades over the previous series include new power supply transformer design plus a new power supply board, push on/off power switches, enhanced chassis design, new 'Soft-Start' circuitry, and new balanced input stage. This series also offers a bridging mode performance improvement, reduced point-to-point wiring, reduced circuit board count, and a redesigned output choke. From input to output, all the circuitry has been optimized for the most accurate performance possible. All analog signal circuitry is fully discrete to avoid the compromises, phase shift, and non-linearities inherent in IC's. The amplifiers incorporate an innovative gain stage topology, which yields a substantially lower noise floor through the use of low-impedance pathways within the amplifier, and has strong advantages in reducing overall distortion. Bryston's computer controlled distortion analyzers confirm that IM distortion of less than 10 parts per million (below 0.0009%) are typical for this new circuitry. All SST amplifiers use Bryston's proprietary output stage, which we call "Quad-Complementary." The Quad-Complementary topology improves linearity to a new standard of accuracy, while virtually eliminating aggressive higher harmonic distortion products. The overall harmonic distribution of Bryston's Quad-Complementary output stage closely approaches an ideal Class-A output, except that the overall distortion is actually much lower. (True class-A output stages suffer from relatively high current-induced distortion levels, consisting of mostly lower-order harmonics). The listening characteristics display a high degree of transparency without harshness or grain. The annoyances previously ascribed to 'transistor sound' are absent, and the amplifier seems to combine the seductive lushness of tube equipment with the focus and accuracy of solid-state. No matter how good an amplifier's signal path may be, it's meaningless if it's starved in the power supply, an all too common way of cutting costs. 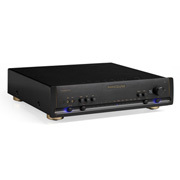 One of the things that makes the Bryston SST Series unusual is the company's insistence that every amplifier in the line have a completely separate and independent power supply for each channel, including its own toroidal transformer. Bryston's research has shown that separate power supplies provide the best imaging, clarity, and dynamic range , all attributes that are especially crucial given the emerging and demanding high resolution digital sources. 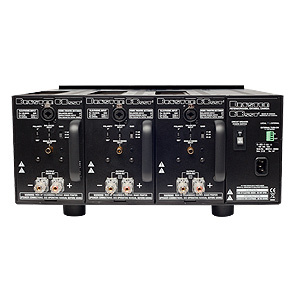 The power supplies employ multiple filter capacitors per channel, rather than single pairs of larger filter cans, allowing improved high frequency response, and reducing overall losses in the supply. In the 9B SST and 6B SST models, Bryston carries the modular concept further, making the channels removable. Bryston uses only the finest components, such as 0.1% metal-film resistors, polypropylene capacitors, custom-wound toroidal transformers, and hand-matched transistors, to reduce noise and distortion to the absolute minimum. Gold-plated balanced or single-ended (RCA) input connectors are standard as well as gold-plated 5-way loudspeaker binding posts, to eliminate possible causes of distortion from corrosion. 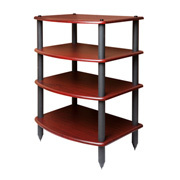 As befits products intended for use on stage as well as in the home, the SST chassis are extremely robust. SST amplifiers offer feature flexibility. 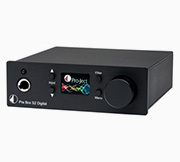 For example, all allow a choice of input connection — balanced XLR-F, balanced 1/4" phone, or single-ended RCA jack — together with a switch to select gain settings. A trigger input allows system-wide on/off control. Overall, the SST Series itself facilitates flexibility in putting together the total system through a variety of channel and power output. For Each and every Bryston audio product undergoes an extensive quality control 'burn-in' procedure. Following a complete operational checkout, every amplifier is placed on a test-bench and run for 100 hours at full output (one-hour on/one-hour off for additional thermal stress), with a high frequency square-wave input and a capacitive load. This extremely rigorous burn-in quickly 'matures' components and weeds out any potential premature failures. The result is reliable trouble-free performance for many years. Bryston designed the SST Series to take into account that systems change. 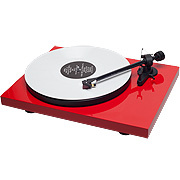 There's a full range of channel and power options, several amplifiers may be operated in bridged mono mode. How are components selected and installed in a Bryston product? Starting with a bare circuit board each component is hand selected and installed, every wire is cut and bent by hand, every connection is hand soldered. Although Bryston could do the job much faster by employing wave-soldering machines typically used in large assembly operations, that would mean exposing the entire board to a molten-metal bath. This is a source of extreme heat shock that could result in long-term reliability problems. Bryston's focus on excellence just doesn't allow for these kinds of short-cuts. How many hours does it take to build a Bryston product? The skilled technicians that build Bryston products are not pressured by schedules or quotas. On average, it takes 30-35 person hours to assemble a single Bryston amplifier or preamplifier. The company believes in quality, not quantity. What kind of product testing does Bryston do? Frequent inspection and extensive testing are a critically important part of the Bryston assembly process. Individual components, completed circuit-boards, sub-assemblies and final assemblies are all put through rigorous inspection and testing procedures. Are the soldering joints all clean? Is every component aligned properly? Is the internal wiring laid-out symmetrically and neatly? During every stage of production, quality and performance are checked - and rechecked - against exacting tolerances and specifications. At the point of final assembly, many manufactures immediately pack their amplifiers into boxes for shipment. 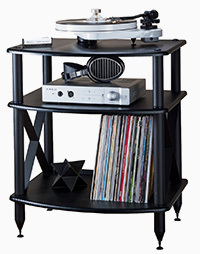 However, at Bryston, each of the fully assembled products is connected to what the company calls a "burn-in table." For example, during 100 hours of continuous testing, Bryston amplifiers are monitored through a range of input cycles and thermal stress levels to duplicate a broad spectrum of operational loads. If any failures occur, the company catches them here, before you begin using our product. Then, and only then, are Bryston products sent to the final quality inspection area for a comprehensive and carefully documented test of all their functions. The printed results of this computer-aided analysis are actually shipped with each unit. During this intensive procedure, Bryston rejects any product that falls outside of advertised specifications, or an even narrower band of specifications used for internal testing. As a result, you can expect each Bryston product to perform as least twice as well as the advertised specifications. What kind of manufacturer's warranty do Bryston products have? The Bryston manufacturer's warranty is unprecedented in the consumer electronics market. 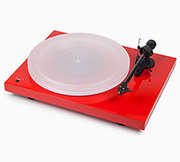 Bryston analog audio circuits are warranted to be free from manufacturing defects for twenty (20) years from the original date of manufacture. The warranty includes parts and labor. Bryston Digital circuits and cables are warranted for five years from the original date of manufacture. The warranty includes parts and labor. Bryston products having motorized moving parts, excluding motorized volume controls, are warranted for three years from the original date of manufacture. The warranty includes parts and labor. In the event of a defect or malfunction, contact Bryston's repair centers for return authorization.